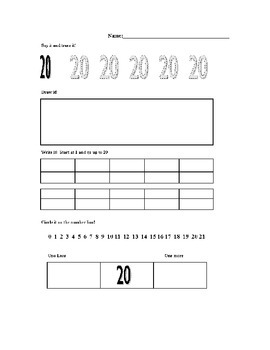 This packet includes sheets for numbers 11-20. Students identify the number and trace it. Then, draw objects to represent the quantity. 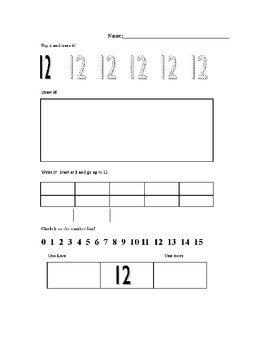 Next, write numbers starting at 1 up to the number they are learning. After that, students circle the number on the number line. Last, students fill in the box to identify 1 less and 1 more than the number.